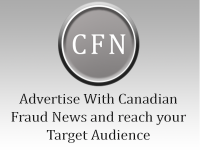 Members of the Royal Canadian Mounted Police (RCMP) Toronto West Financial Crime Unit, working on a complaint from Employment and Social Development Canada (ESDC)/Service Canada, have charged two individuals with various offences related to overpayment of Old Age Security (OAS), Guaranteed Income Supplement (GIS) and Canada Pension Plan (CPP) benefits. The investigation began in December 2016 when the RCMP was alerted by ESDC/Service Canada that a fraud had been committed. The police investigation revealed that payments for OAS, GIS and CPP were obtained and deposited in a bank account. It is alleged that an application for the benefits was initiated fraudulently by Carsten Mackay, using the legitimate beneficiary’s identity before his death and the payments continued long after he passed away. Over a 13 year period, both accused collected in excess of $190,000.00 from the government agencies, through a joint bank account. This, as the RCMP have stated, is completely illegal. Identity Fraud, contrary to the Criminal Code (X2). Uttering forged documents, contrary to the Criminal Code (X2). Carsten Mackay and Catherine Scollay are scheduled to appear in court on January 8, 2018 at the Brampton Court of Justice, 7755 Hurontario Street, Brampton, ON. Read the full story over at Cision News.